Seasoned diplomat Richarad Holbrooke, President Obama’s Special Envoy to Paksitan and Afghanistan, passed away in Washington on Monday. He was 69 years old. Mr. Holbrooke left a strong legacy of diplomatic achievements, most important of which being the Dayton agreement to end the bloody conflict in the Balkans. He also served as Deputy Secretary of State and Ambassador to the United Nations under President Bill Clinton. A lot of expectations came with the job that Mr. Holbrooke took under President Obama– to coordinate the efforts in Afghanistan. Having established a reputation of being a tough negotiator, the Ambassador was entrust the responsibility of working towards a solution in Afghanistan. 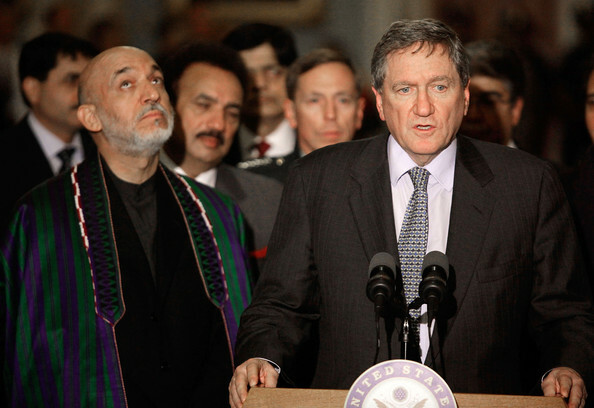 But during his time, Mr. Holbrooke found it quite difficult there, causing tremendous strain in President Karzai’s relationship with the Obama administration. Holbrooke’s last post, as the Obama administration’s special representative to Afghanistan and Pakistan, will most likely not figure among his finest hours. Long-time friend and colleague Peter Galbraith, who served as ambassador to Croatia while Holbrooke was negotiating an end to the Balkan war, told the BBC Monday evening that the Dayton Accords, signed in 1995 and effectively putting an end to hostilities in the three-year conflict in Yugoslavia, would serve as Holbrooke’s legacy….most observers acknowledge that Holbrooke was a problematic figure in both Kabul and Washington. But one has to wonder whether it was Holbrooke or the awkward role that he was assigned that created the tensions. The Ambassador repeatedly declared that the military solution was not viable in Afghanistan, yet he found himself working a long side a massive military operation and trying to coordinate his efforts in that shadow. Perhaps, he would have been more effective if reconciliation had been given a more prominent place in the policy, and if face to face negotiations with the Taliban had been taken up, what many intellectuals and experts are calling for right now. While Mr. Holbrooke would have hoped for more concrete achievements in Afghanistan, his frustrating time there was not completely ineffective. He put tremendous pressure on President Karzai’s administration to cut down on corruption, and he spoke repeatedly for tackling the save heavens across the border in Pakistan. 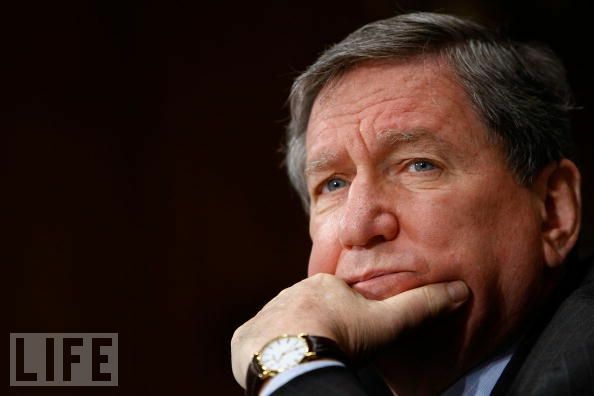 Above all, he assiduously spoke of a political solution, which might as well be the only way out of the war in Afghanistan..
I’ve never met an abler diplomat, or a smarter one, than Richard Holbrooke. He was inevitably the brightest guy in the room, and usually the most pragmatic and hardest-working – and he was also a friend whom I admired hugely. His death today is a tremendous loss for all of us who knew him, and for the country as well. Richard never achieved his dream of becoming secretary of state, but he leaves a legacy around the world – from Bosnia to East Timor, from AIDS clinics in South Africa to his legions of followers in the United States – that exceeds that of many Secretaries of State. He was simply a legendary public servant, and an inspiration.